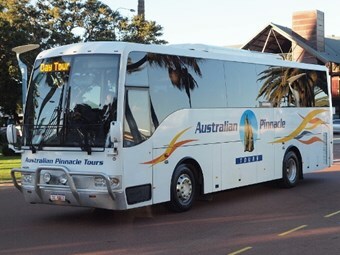 Western Australian bus operator Adams Group, owned and operated by Perth-based bus industry entrepreneur Adam Barnard, has acquired Pinnacle Tours from Adventure Tours Australia Group. "This is the final piece of the Adams puzzle," says Barnard. "We will now be able to provide clients with a quality five-star touring product, alongside our other service offerings, based right here in Perth." Barnard says the coach-touring sector is a key tourism driver for Western Australia, but over the past couple of years had failed to reach its full potential. "We are now committed to lifting the level of service and product offering to suit consumer and market needs for a premium touring product," he says. Earlier in 2012, Barnard fell short of gaining a WA Public Transport Authority route service contract, despite a robust bid, to run a portion of Transperth’s network in Perth’s eastern suburbs. Since then the Adams Group has continued to concentrate its diverse fleet around corporate charter, touring and mine site transportation. Barnard has also continued to work closely alongside Tourism Western Australia, focussing on Adams’ core markets, as well as interstate and intrastate business. Tourism WA CEO Stephanie Buckland welcomed the Adams’ acquisition of Pinnacle Tours, which had been operated by interests outside of Western Australia. "It’s pleasing to see Pinnacle Tours back in local hands and in particular with a proven operator like Adams," Buckland says. "Bus transport and tours are an important part of the tourism industry in our vast state and this commitment by Adams demonstrates confidence in the future." Tourism Council WA also believes the Pinnacle Tours acquisition will benefit tourism in the west, with the council’s CEO, Evan Hall, saying local tourism relies on tourists arriving on coach tours. Hall also welcomes Barnard’s plan to upgrade the Pinnacle operation under the Adams Group. "A major upgrade for Pinnacle Tours is great news for the tourism industry," says Hall. Barnard says the Adams Group will be making numerous changes to Pinnacle Tours to attract more domestic and international business to the WA market. Following the completion of Pinnacle’s transition between owners, Adams will commence planning for a multimillion dollar fleet replacement program. Coaches will be fitted with GPS tracking and communication systems, consistent across the Adams Group brands. Among the service changes, new meal choices will be introduced with an eastern and western menu option. And there will be a new renovated walk-in luxury retail and reservation office at Barrack Street Jetty near Perth’s CBD. Adventure Tours Australia Group managing director Jacquie Burnside says Pinnacle Tours has many strong attributes making it an attractive purchase, particularly to Adams. "Adams brings to this acquisition success in operating their current business in a number of specific niches in WA, including mining, government, schools and corporate charter," Burnside says. "Pinnacle Tours will be working closely with Adams to assist with this transition guaranteeing ‘business as usual’ for our industry partners and clients."